Location and general quality not bad. Room not that big but optimal usage of space. Location is perfect. Only a short walk from the city center and the pedestrian sidewalks to the city center is wide enough not to be afraid to cyclists passing. The floor is not carpet but light color faux-wooden floor so it is a lot better than carpeted floor. 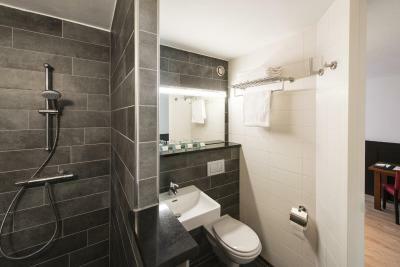 Room size and bathrooms are good. There is hotel parking garage although not in the same building complex as hotel but it is within a walking distance. Location was decent. It was about a 5 minute walk or a little more to Markt. A little further to the Vrijthof. The new Pathe cinema complex is directly across the road. Breakfast was fabulous!! Personnel very helpful and friendly. Rooms were clean and smelled good. 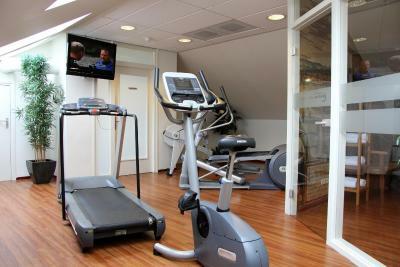 The hotel is just a few steps away from the city center and the room was very nice and clean. Quite happy with the choice. Really enjoyed the pool table on the ground floor. the staff is excellent, always very happy and willing to help, the hotel is very well situated and also has a fitness center. 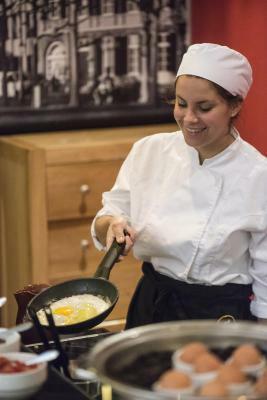 The breakfast is super good. I had stayed here before and was happy to return. Good value for money and comfortable, if not spectacular. 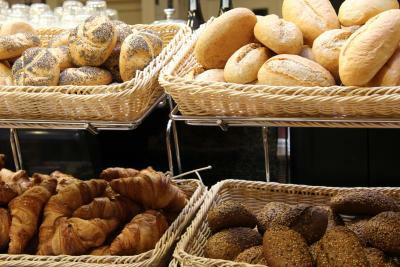 It was a great hotel, comfortable beds, Nice staff and a good breakfast! 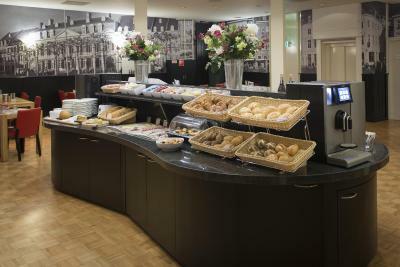 Bastion Hotel Maastricht Centrum offers air-conditioned rooms, underground parking and free Wi-Fi in the historic center of Maastricht. 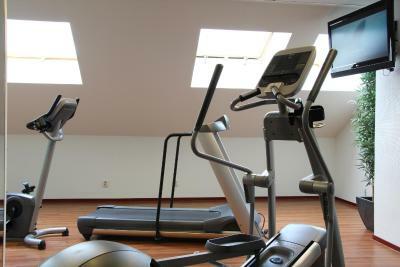 It includes a fitness center and is only 2,450 feet from the Vrijthof. 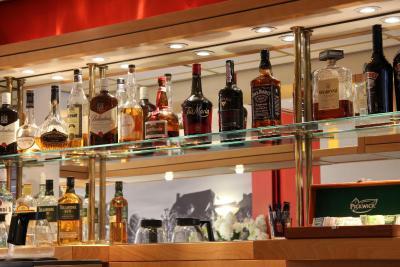 The rooms at Bastion Hotel Maastricht Centrum benefit from a mini-bar, coffee and tea facilities. They also feature a work desk and an LCD flat-screen TV. 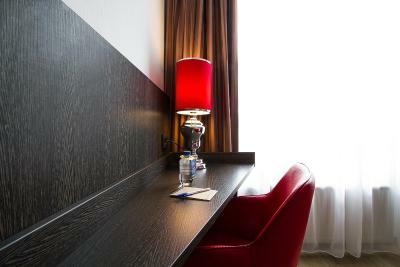 Maastricht Railway Station is less than a 20-minute walk from the hotel. The center of Valkenburg, featuring the castle and famous Velvet Cave, is 15 minutes’ drive away. Maasmechelen Outlet shopping village is less than 25 minutes away by car. 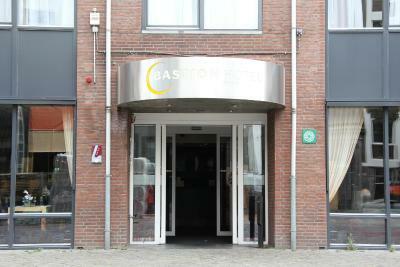 When would you like to stay at Bastion Hotel Maastricht Centrum? 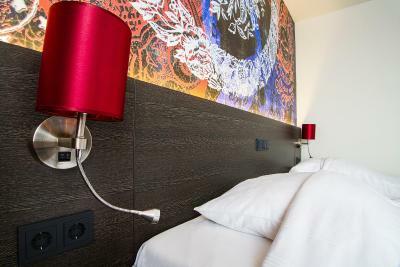 This air-conditioned room includes a sitting area with LCD flat-screen TV and also has a bathroom with a hairdryer. Free Wi-Fi is available. Hotel surroundings – This neighborhood is a great choice for travelers interested in shopping, friendly locals and cafes – Check location Great location - show map Guests loved walking around the neighborhood! 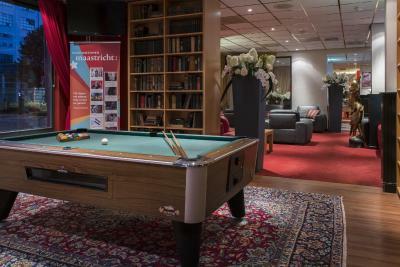 House Rules Bastion Hotel Maastricht Centrum takes special requests – add in the next step! 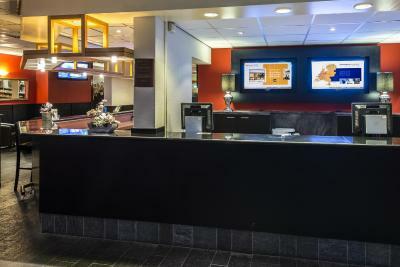 Bastion Hotel Maastricht Centrum accepts these cards and reserves the right to temporarily hold an amount prior to arrival. Please note that there are a limited number of parking places in the external parking garage. Fees are applicable. Even though the room was big and with a view, it was so dark. The staff helped me because I needed an extra lamp for the desk. THE HOTEL HAS DOUBLE CHARGED ME FRAUDULENTLY THE STAY ONE NIGHT FOR ONE PERSON AND THEY REFUSED TO PROVIDE ANY INVOICE WHICH IS COMPLETELY ILLEGAL, EVEN IT WAS ASKED TO THE HOTEL MANAGER. The room was very cold and not obvious that we need to turn on the heating by ourselves (winter). Also, the windows are sealed. The dinner was very nice, and priced properly. Window taped closed. As we cannot sleep with closed windows, asked service on it which could not be provided. Cut the tape ourselves. Room was very cold when I arrived, it should be heated to basic temperature. Facilities according to expectations, location. The people who would clean the room didnt leave new towels, and you Should ask for an extra pillow. We received only two coffeepads in our room ... no tea at all, our minibar was empty. The lady at the frontdesk said we could have asked for more pads at the reception ???? + There was no possibility to enter the hotel before 3 p.m. At 3.01 p.m., there were 30 persons waiting before the entrydesk, a few person had to wait outside the hotel ... the automatic door always opened automatically - during the 30 minutes we were waiting to be checked in. 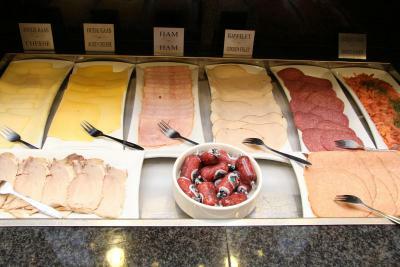 the beds were really very good ... the bathroom was OK ... Breakfast was alright !! !